Berry Gardens does nothing but berries, cherries and plums. We are the largest and most innovative growers group in the UK and have been around since 1972. During this time we have developed from a small regional grower’s co-operative in to what we are today – a grower’s group representing all the principal production areas of the UK, with overseas partners and suppliers who represent the very best berry producers in their respective countries, and key supplier status with the UK high street. Our history of specialisation and dedication means we are the berry experts. This means expert growers, sales staff and international partners and suppliers. Whether we are out in the field and on the farm, working with breeders on selecting and trialing the latest varieties, helping our retail customers refine their offer, or consumer testing our products to ensure we are delivering the very best tasting fruit all we do is talk berry (and cherry, and plum). Andy Jackson, ASDA Category Manager: "Berry Gardens are at the leading edge of developmental work bringing great varieties to market that are tasty and appetising for the customer and prove popular with growers. We work as a partnership with Berry Gardens to provide our customers with the very best". Bill Davies, Marks and Spencer, Buyer: "Berry Gardens continue to be a key fruit supplier to Marks and Spencer. Their understanding of our business and customer needs ensures a continual, year-round supply of leading edge, quality berries and award winning cherries during the UK season. They also play a key role in the day to day and longer term delivery of our business strategies and objectives. The strength of their UK supply base is particularly important and supports one of our Plan A objectives of local sourcing. Their geographical spread of growers, who are very focussed on high quality, better eating fruit, enables us to continually improve our UK berry offer and remain ahead of our competition. 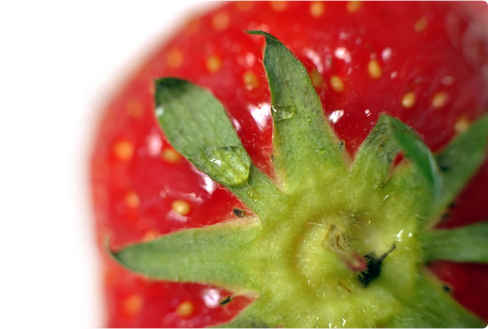 The Berry Gardens relationship with Driscoll's (the world's largest strawberry breeding programme) is extremely important and gives them a market advantage with new, better eating varieties and innovation. This helps us grow and differentiate our business and satisfy our customers' needs."